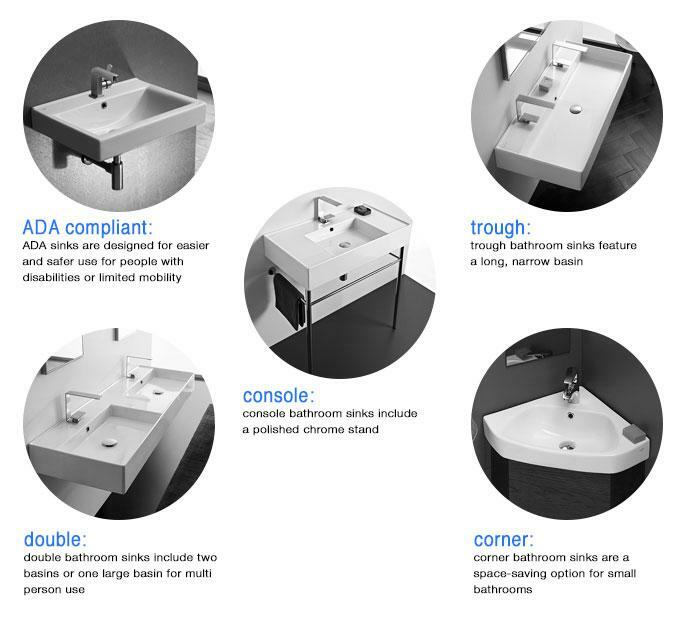 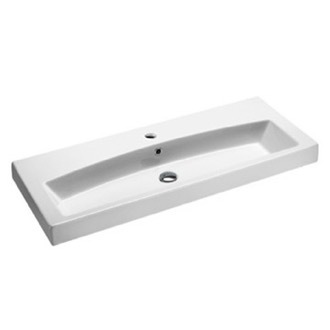 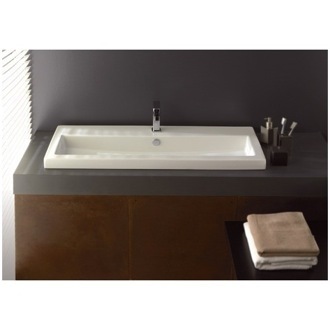 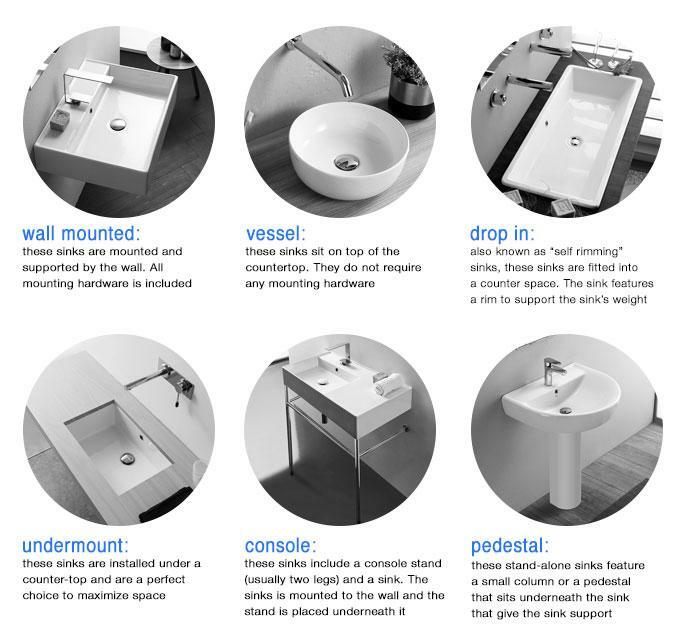 Shop our selection of trough bathroom sinks and get FREE shipping on all orders over $99! 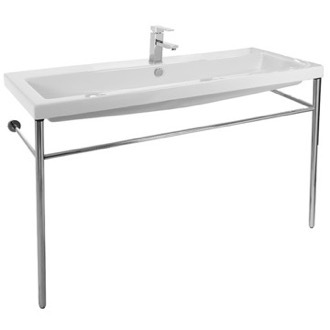 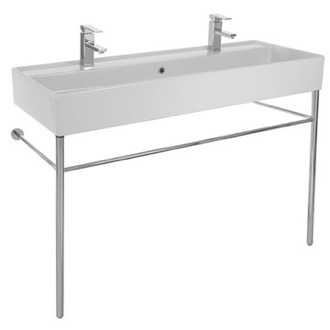 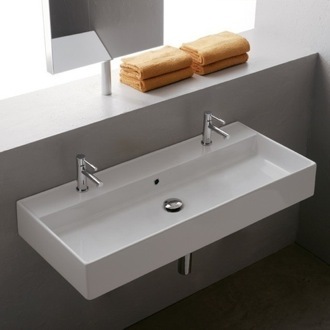 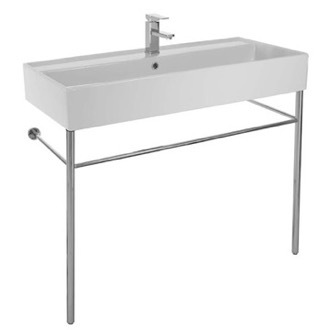 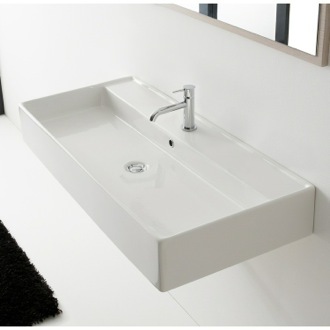 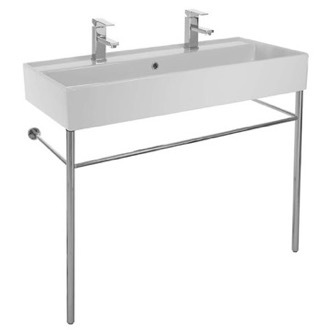 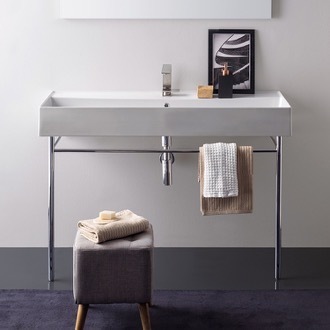 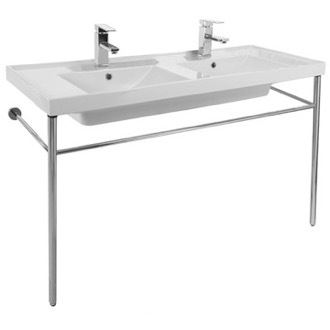 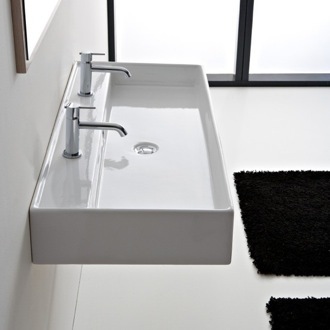 A trough bathroom sink makes a big, bold statement in your bathroom - emphasis on the word big! 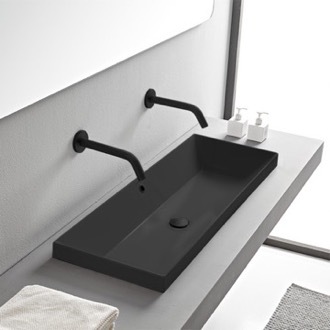 Oversized farmhouse-style sinks can be a modern (and space-saving) alternative to having two separate sinks when you purchase a trough sink with two faucets. 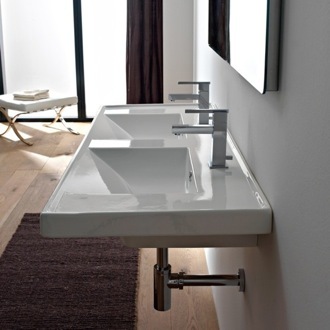 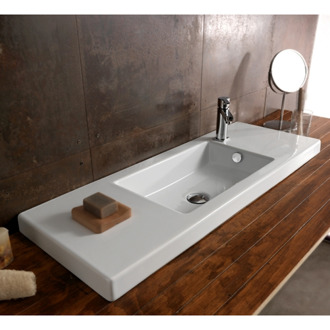 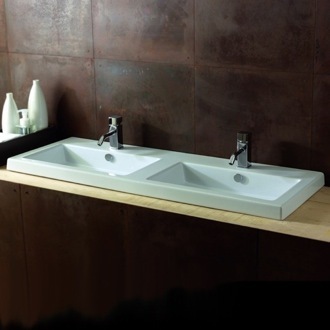 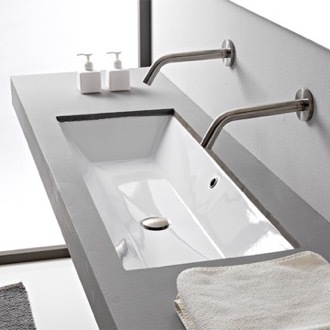 Of course, trough sinks can also have a single faucet, and are simply oversized to create a dramatic design statement. 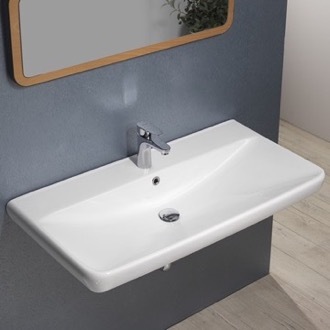 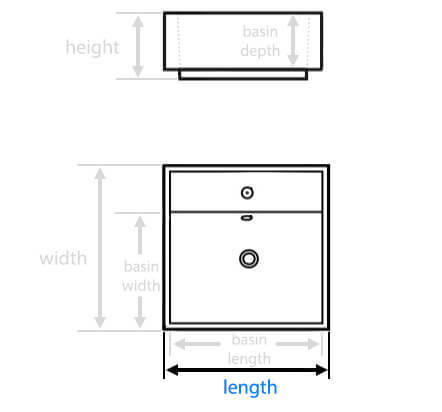 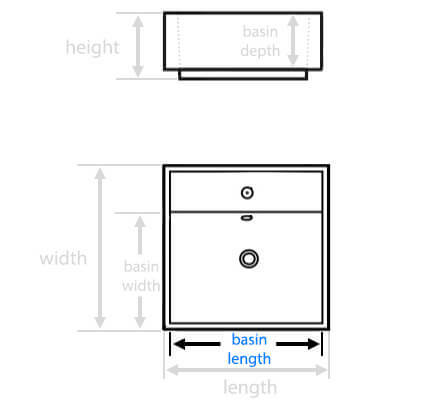 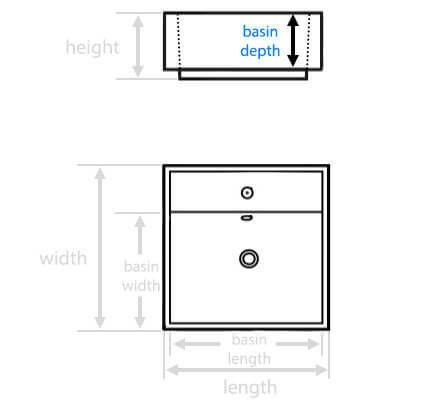 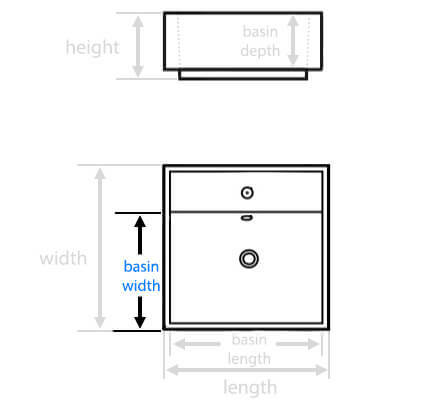 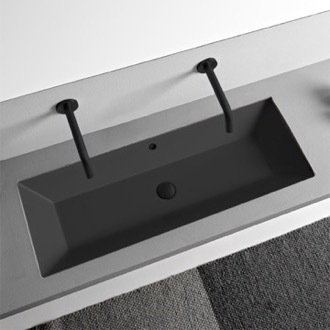 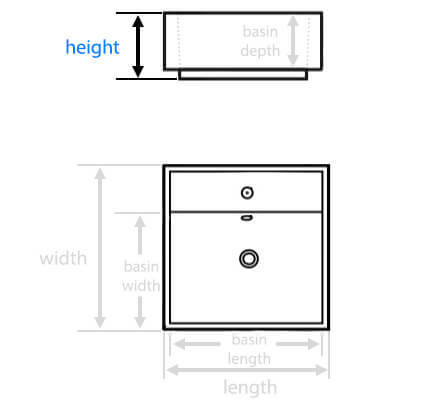 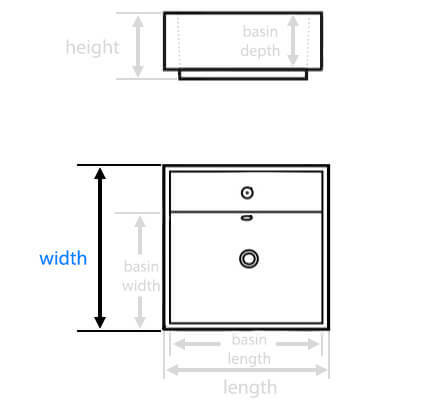 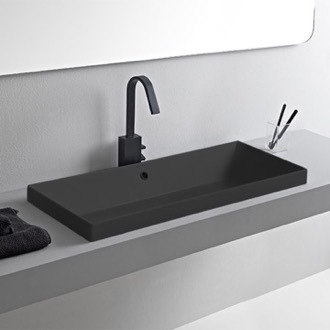 No matter what style of sink you're looking for, there is likely a trough version of it, including wall-mounted, drop-in, and vessel sinks. 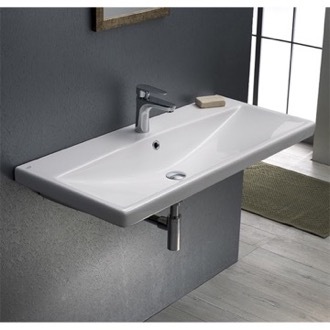 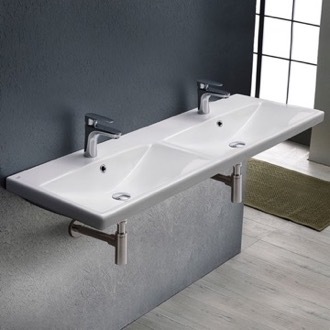 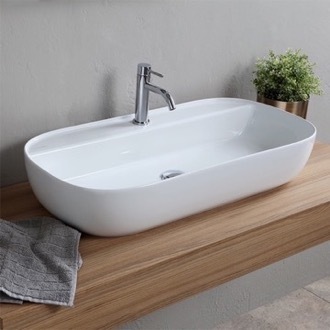 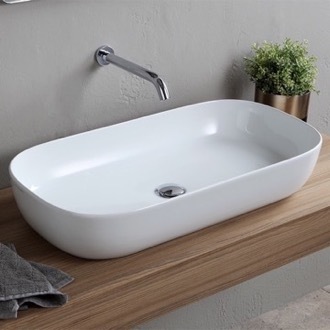 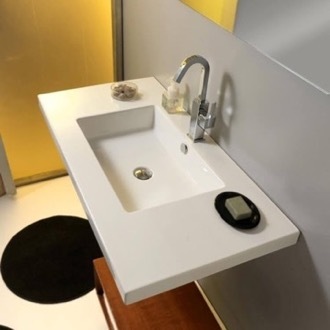 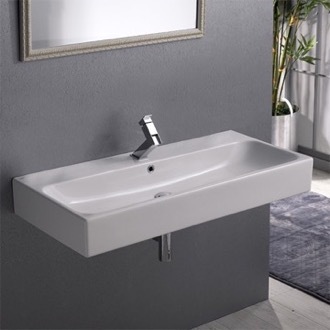 More shopping tips A trough design is nothing new but trough bathroom sinks are being installed in bathrooms all over at an alarming rate. 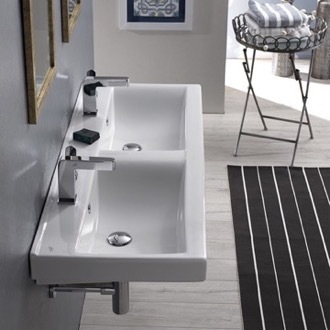 They're incredibly stylish yet convenient and comfortable. 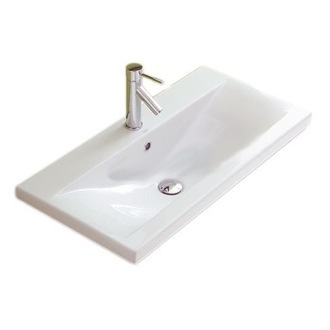 Because of their extra-long shape, more than one person can use the sink at once. 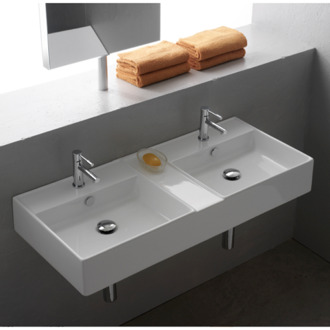 They're perfect for bathrooms shared by siblings but can add a sophisticated touch to master bathrooms as well. 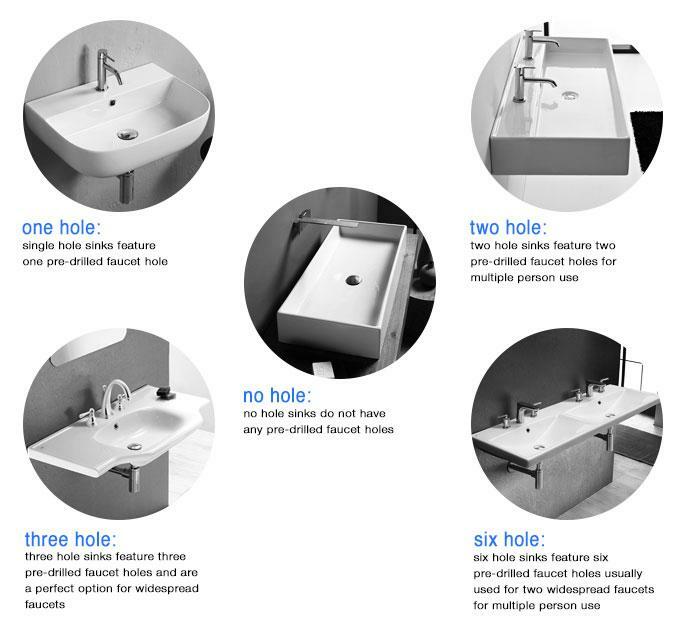 Trough sinks give you the opportunity to try out some fun and unique faucets that just wouldn't look right with a more traditional sink style. 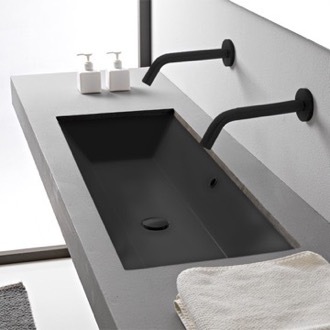 It's safe to say that trough sinks are here to stay. 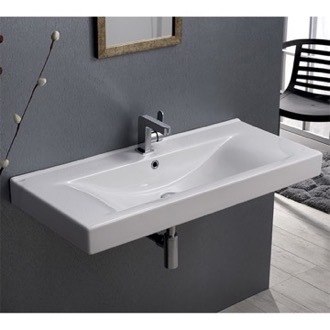 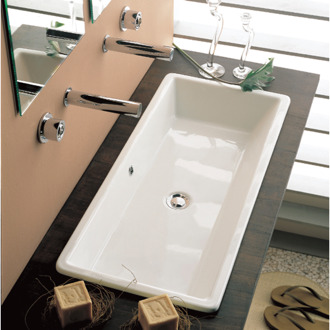 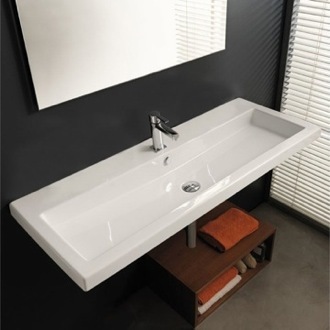 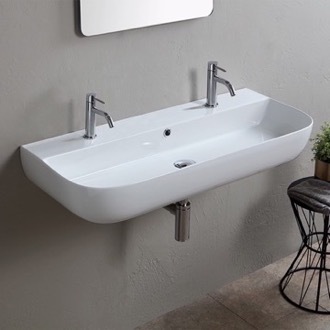 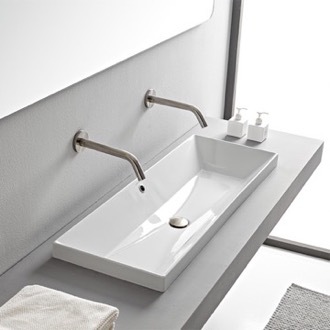 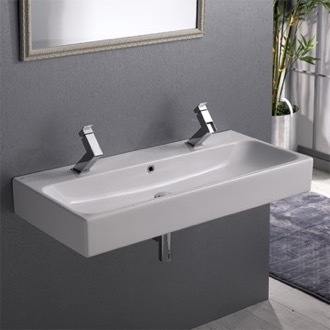 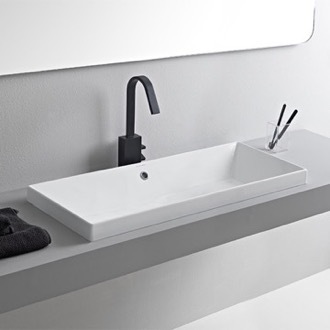 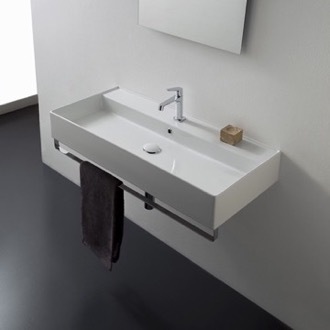 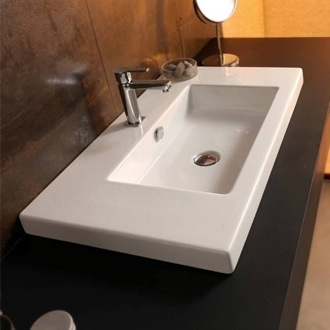 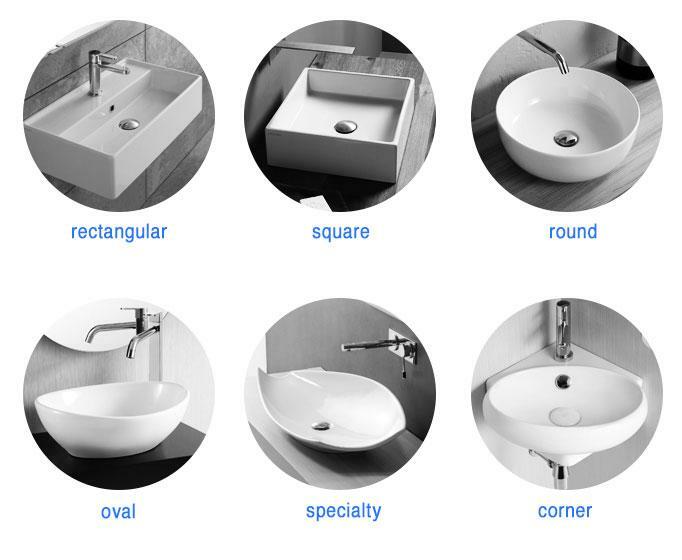 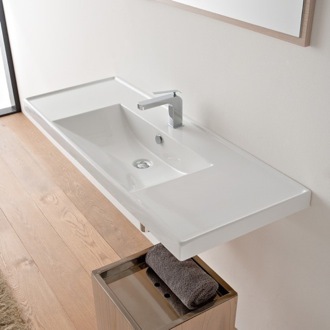 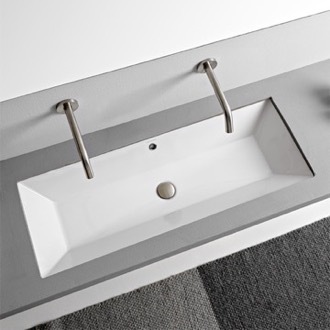 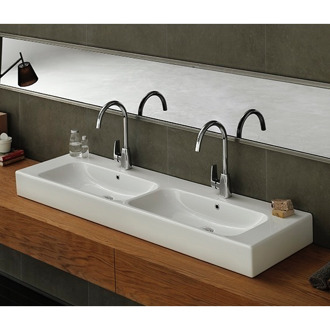 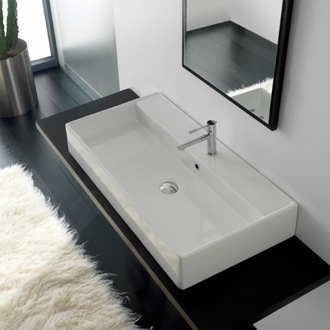 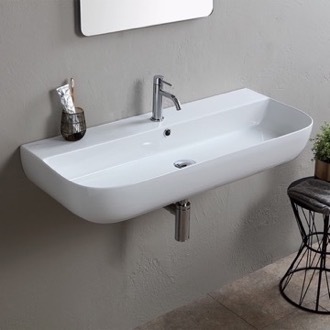 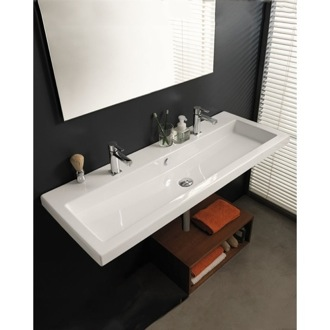 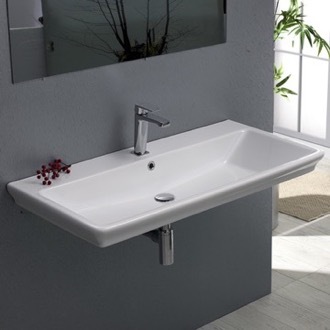 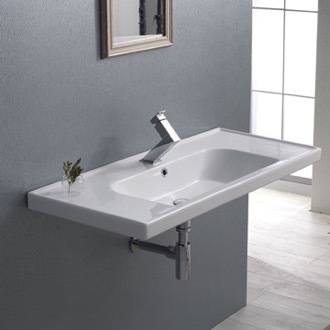 If you're looking for an elegant sink design that can work in a multitude of bathrooms, consider trough bathroom sinks. 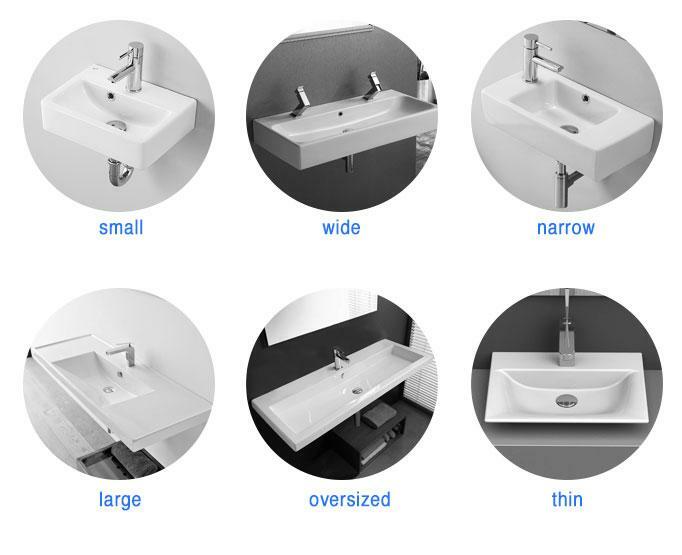 They've available in a wide selection of sizes, shapes, and finishes.